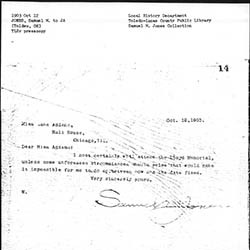 Jones invites Addams to speak at Golden Rule Park and talks about topics he finds interesting. 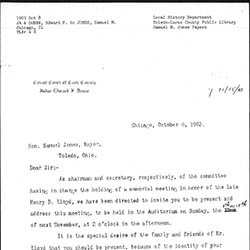 Addams invites Jones and his wife to come to Hull-House to meet Peytr Kropotkin and to hear him lecture. 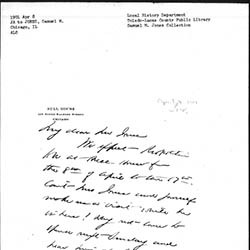 Addams and Dunne invite Jones to attend and speak at the funeral of Henry D. Lloyd. 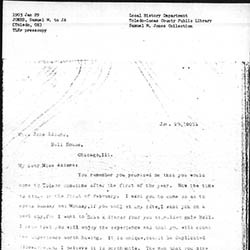 Jones responds that he will attend the Henry Lloyd Memorial. 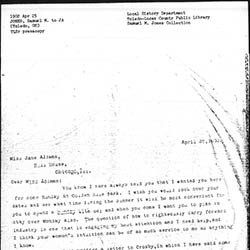 Addams thanks Jones for agreeing to speak at the Henry Demarest Lloyd memorial and informs him of a date change. 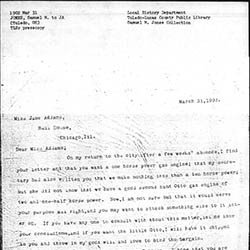 Jones writes to Addams about his experience with simple living and his philosophical realizations. 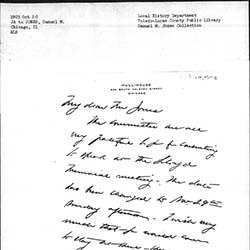 Jones requests that Addams dine with him in Toledo within the next month. 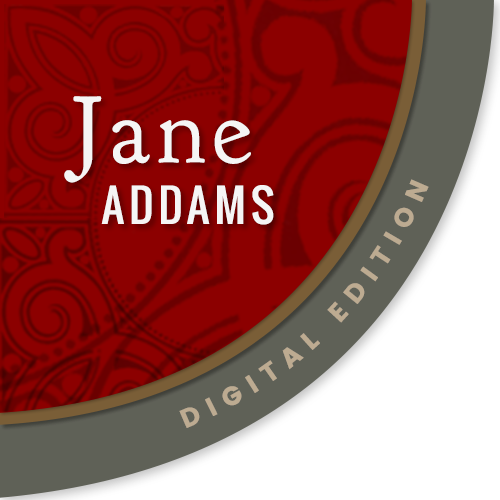 Jones writes Addams about her request for a gas engine, adding that he hopes to see her soon.